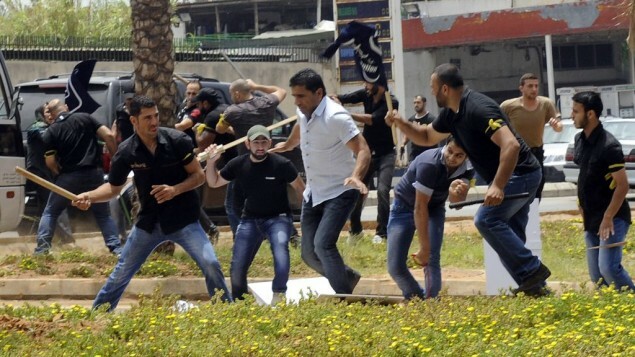 Hezbollah goons fired on unarmed anti-Iranian protesters and beat them with sticks. One protester was killed in the attacks. As Hezbollah officially enter the Syrian civil war, Lebanese protesters went to picket and protest outside the Iranian embassy in the capital city of Beirut. Reuters reports that at least one unarmed protester was killed. At least one person was killed and five people were injured in the embassy attacks.